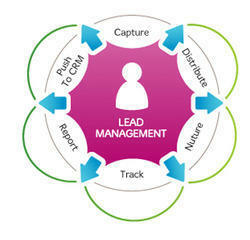 We are the leading organization in the industry to provide our clients the best quality Lead Management System Service. This service is widely applauded by our esteemed clients due to its perfect execution. Provided service is rendered by our experts using advanced techniques. Offered service is rendered in a perfect manner. - Manage your leads easily in one place by aggregating all your lead sources. Automated process to record the number and details of leads generated on your application. It helps you trace a prospective customer and eventually coerce him into making a purchase. 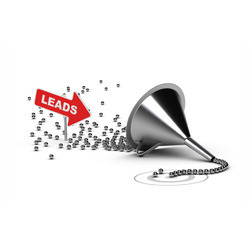 Lead management solution helps businesses dealing with huge pile of their Leads data. This solution manages, captures, categorize the leads, and filter them to be used a useful formats. Keep the track of multiple campaigns run on the lead. Integrate with your facebook / linkedin ads, web forms, emails to capture the lead data. Attracts more customers with a simple missed call marketing, Efficient and cost effective marketing strategy. Lead management is a set of methodologies, systems, and practices designed to generate new potential business clientele, generally operated through a variety of marketing campaigns or programs. ... Lead management is in many cases a precursor to sales management and customer relationship management. Lead Management is a set of methodologies, systems, and practices designed to generate new potential business clientele, generally operated through a variety of marketing campaigns or programs. Lead management facilitates a business's connection between its outgoing consumer advertising and the responses to that advertising. AccelTree Mobile Lead Management System is used for organizing and implementing support to the existing lead management process using mobile phones as the primary front-end device. - Mobile application for sales executives on the field. Get quality leads with Trancisco Lab’s lead management system. The company provides efficient leads quickly and help clients get more business as well as increased ROI. Student Lead Management Software is a Education CRM by AceSys provides your education institute and universities many facilities in terms of student lead management, sales force management, lead management, lead tracking, Eduzilla is a web-based software for channel sales and marketing teams of Education. Sales, CRM and Lead Management Software which is part of our ERP suite and is also available as a stand alone module. This will take care of the entire process from lead to quotation and payment and also has mobile apps on iOS and Android.